It’s the end of another long week. You’ve met all your deadlines, pushed through your to-do list, and now you want to treat yourself. The best way to celebrate the end of the busy week? Waking up late and grabbing brunch mid-morning. From locally-owned restaurants like the classic Local Yolkal, eclectic and flavorful Bollywood Tacos, and high-end dining at Aubri Lane’s, to comforting, classic chains like Huddle House and Waffle House, Milledgeville has plenty of delicious options for early morning breakfast or mid-day brunch. With a bright yellow interior and colorful decor, the Local Yolkal Cafe is a downtown Milledgeville favorite. On the weekends, you’ll see lines out the door with eager locals and visitors waiting to grab a table. The cafe serves breakfast items like giant buttermilk pancakes and classic eggs benedict as well as lunch items like salads and sandwiches. Out with friends? Try bottomless “Millymosas” for $16 a person. The Local Yokal is an affordable favorite for comfort food in Milledgeville. Always open to the public, on Sundays Aubri Lane’s offers an unlimited brunch buffet perfect for family outings. The menu rotates based on the chef’s fresh selections for that week, but keep on the lookout for their weekly Southern specials. 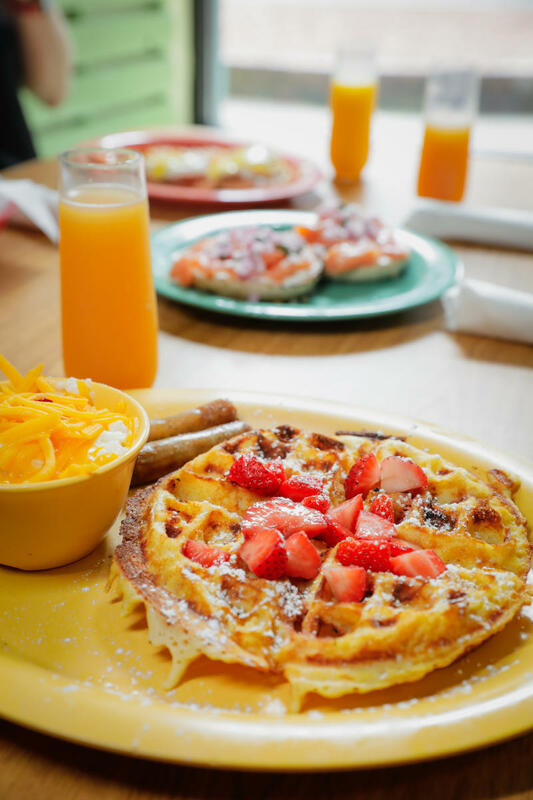 With choices like fried chicken, peach cobbler, omelettes, and a waffle station, you won’t leave hungry. Adults are $14.95, kids under 12 are $8.95, and kids under 5 eat free. 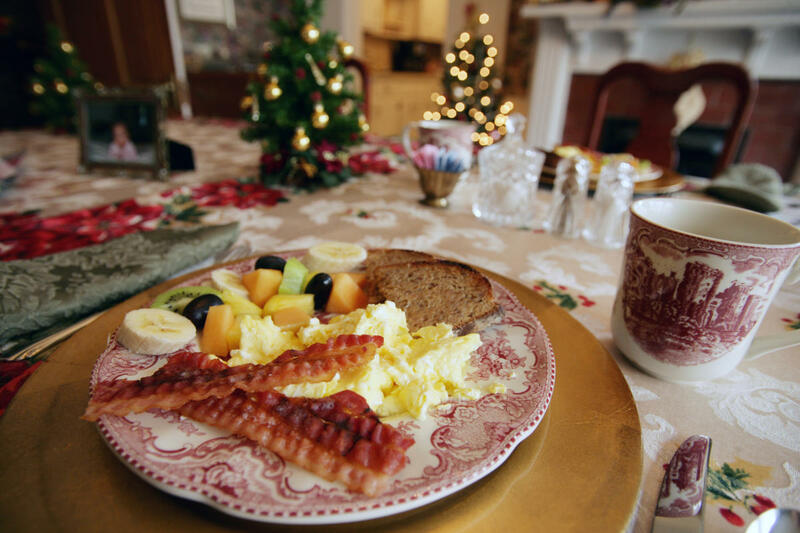 The Antebellum Inn is one of the most iconic homes in Milledgeville. This charming bed and breakfast features gorgeous, sunny Southern architecture and the best hospitality you’ll find in the country. 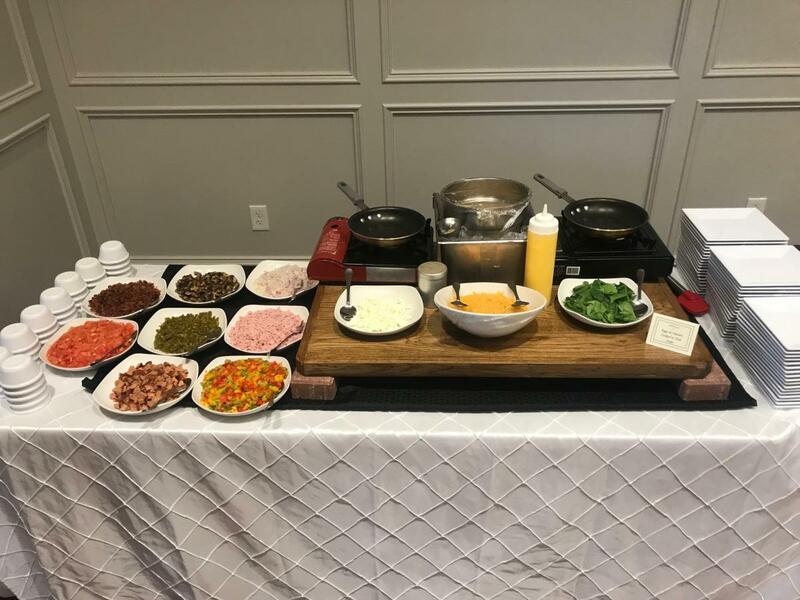 Guests from the Inn and SoHo Lofts are treated a breakfast of farm-fresh eggs, bacon, sausage, jams and jellies, and fresh fruits from around the world. If you’re lucky, you’ll get to try the world’s best, easiest biscuit. Looking for their house specialities? Ask for their Raspberry French Toast or Homemade Quiche in the morning. Bollywood Tacos serves brunch with a twist. Check out this locally-owned restaurant downtown for their brunch served weekends from 10 am to 2 pm. With huevos rancheros, Mexican breakfast skillet, or bolly breakfast tacos, you’ll find flavorful and creative brunch options. You haven’t experienced the true South without stopping in this familiar yellow and red building. In Milledgeville, Waffle House is always packed with college students and local families alike. You can’t go wrong with Waffle House’s famous All-Star breakfast. Not hungry enough for the All-Star? Stick with a chocolate chip or blueberry waffle. The best part? This will be the one of the cheapest out-to-eat meals you’ve ever had. Similar to popular chain Waffle House, Huddle House is another Southern staple where you can get a hot meal whether it’s 2 am or 2 pm. Huddle House breakfast includes platters stacked high with eggs, bacon, and hashbrowns, stuffed omelets, sweet pancakes, and more.